To meet the needs of those depending on firewood, and without the means to afford it, Norwich offers a community firewood reserve. Norwich resident David Hubbard heads up this community effort to help those in need of wood for heat. 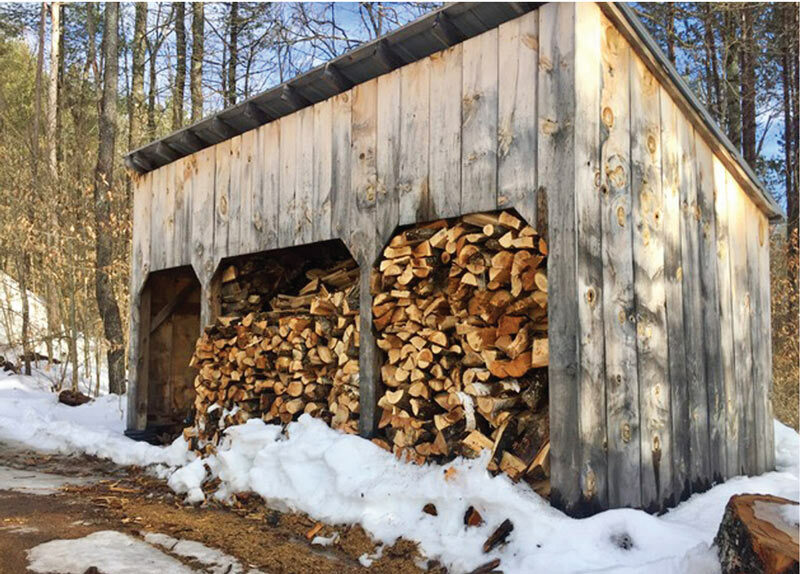 Though the firewood is gathered and stored in Norwich (there are two sheds for storing the wood), Hubbard explains that anyone in need throughout the Upper Valley can use this wood. Folks from as far away as Windsor, Bridgewater, and Bradford (VT) have made use of this service. 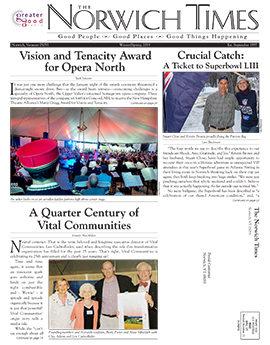 Making the wood available depends on the hard work of volunteers, and the staff of the Norwich Public Works Department. Hubbard explains that Andy Hodgdon’s public works crew collects most of the log length firewood used from cutting jobs along Norwich’s roadsides, and transports the wood to the collection site at the firewood sheds. In addition, during slow times throughout the year, public works staff will devote time to cutting, splitting, and stacking the wood. Community volunteers are also instrumental in the work. Once a year, in late October, Hubbard organizes a volunteer workday, with volunteers showing up with saws, wood splitters and trucks to cut, split, stack, and deliver the wood. Hubbard finds that many of his volunteers, “are 50 (years old) and older,” and he’d love to see “new blood, younger adults,” step up and get involved. Hubbard does point out that throughout the year, young folks from Youth In Action and Hanover High do pitch in and help stack wood, as do some Appalachian Trail hikers who stop and spend a few days in the area. The two sheds where the firewood is stored can hold between 20 and 25 cord, Hubbard says. Last year, 100% of the stored wood was distributed, and this year, as of late February, about eight cord remain available. 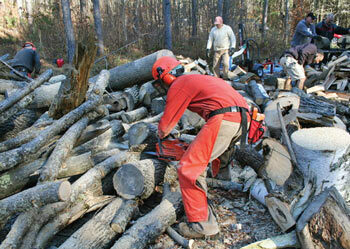 As many people run out of wood late in the season, chances are there will be little left at the end of this winter. For those interested in more information on the firewood collection and distribution effort, visit the website for the Town of Norwich.